In 1984, a young Michael Jordan began his legendary career in the NBA with the Chicago Bulls. I was two years old at the time, which means I don’t remember much from Michael’s rookie season. In fact, it’s safe to say I don’t truly remember much about Jordan until the early ‘90s. That doesn’t mean Jordan didn’t heavily influence me and basically every other basketball-loving kid in America during that time, though. Whether we were aware of what we were watching or not, we were experiencing history – both on the court and in all the ads that featured the GOAT. Marketing and branding have changed dramatically since Jordan’s first sneaker came out. But, one fact still remains true: a strong ad campaign can make or break an Air Jordan model. 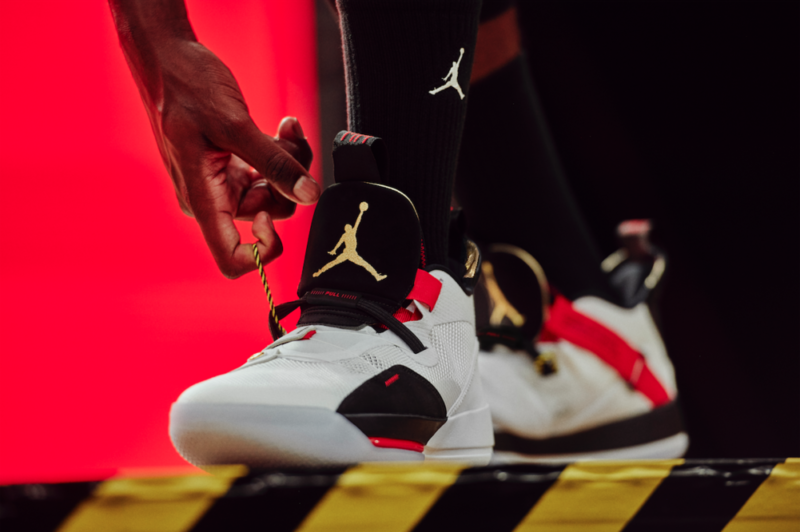 Last month, Jordan Brand held an interactive event in LA to introduce the latest model – the Air Jordan XXXIII. All of social media’s most important influencers were there to snap pictures and try out the newest and best model. It reminded me of how times have changed for marketing. Back in the ‘80s and ‘90s, it was fairly simple formula: put the new Air Jordan on MJ’s feet, and have him shoot a few commercials. Today, the brand utilizes all types of avenues to promote the newest model. I thought it would be fun to look back at some of the most memorable Jordan ad campaigns; the campaigns that made a great sneaker even greater. In 1984, Michael Jordan and Nike couldn’t have asked for a better storyline. They had their new Air Jordan sneaker, along with a flashy new “Wings” logo, in a daring new black/red colorway. Jordan wore a black/red Air Ship model in the preseason, which commissioner David Stern said was a no-no because it didn’t match the uniforms and other players’ sneakers. This caused Nike to have to re-think their color scheme for Jordan’s first AJ models, but it was also a brilliant twist for their marketing campaign. The result was the “Banned” commercial, and the most successful Air Jordan sneaker ever. Continuing with the comedic theme, Jordan moved on from Blackmon to a new sidekick in 1992 – this time with Bugs Bunny. Mixing cartoons and real life actors was all the rage back then (remember Who Framed Roger Rabbit?). The Air Jordan 8 and 9 ads were also a huge hit, and may have continued if Jordan didn’t retire from the game after the ’92 season and his third straight championship. That certainly put a wrench in Nike’s plans. Nike made the most of Jordan’s transition from world basketball phenomenon to Division AA Minor League baseball player, featuring a series of ads. All three were quite different, as famous actor Steve Martin questioned whether Michael Jordan was still playing competitive basketball in disguise for one spot. In another, Jordan and Charles Barkley dispute their signature sneakers. And in a third, Spike Lee returns to cheer on a struggling MJ while he attempts to play baseball. All three ads were memorable, and helped salvage the AJ9 after most of the basketball world was depressed over Jordan’s retirement. At the time the Air Jordan 11 was being designed, Nike wasn’t sure if Jordan would ever return to the game of basketball. That’s why Jordan branded the sneakers with the tagline, “Inspired by the greatest player of all time.” Of course, Nike was thrilled when MJ made his return to the Bulls in ’95, and didn’t seem to push back too much when he wanted to wear the Air Jordan 11 a bit early in the playoffs against the Magic. The commercial that followed was a determined MJ dunking on a 100-foot rim. It was a decent commercial, and really Nike could have just played a 30-second clip of the shoe because the sneaker itself was so beautiful. The Air Jordan 12 had perhaps some of the most thoughtful and inspiring commercials, and also some of the most serious. Obviously, Jordan had matured during his time off and return to the game, and the commercials reflected that. One ad captured MJ playing the game in slow motion against the LA Lakers rocking the fresh Air Jordan 12s. Another showed MJ walking into the arena while talking about all the times he’s failed as a player. And the third featured MJ attempting to dunk from the free throw line again –10 years after he did it the first time. With Mary J Blige singing “Overjoyed” in the background, and Michael Jordan well into his second retirement, we were introduced to the team that was called to carry on Jordan’s legacy. Athletes like Derek Jeter, Randy Moss, Eddie Jones, Ray Allen, Roy Jones, Jr. were all featured. The Air Jordan 15 was also shown briefly, and then Jordan is seen strolling through a field in casual attire at the end. Jordan was now the mentor, and these athletes were his protégés. The theme of Jordan as the mentor and ambassador for the game continued with the Air Jordan 16 ads, with Mos Def’s “Umi Says” as the theme song. 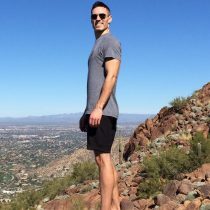 Along with professional athletes, Jordan is seen interacting with normal folks as well, even to the point of joining a pickup game in a local gym. The tagline for the campaign was strong – “Much Respect.” It is still a revered slogan, and said amongst sneakerheads to this day. For the Air Jordan 17 in 2002, the Brand looked to cater to the younger hip hop generation with classic tracks from Gangstarr featured in three shorts starring Ray Allen, Darius Miles and Quentin Richardson. Michael Jordan was out of retirement and back in the League for a third time, but was not featured in any of these ads. There was a separate, simpler ad featuring just Jordan dribbling a basketball which was meant to sound like a heartbeat. For the Air Jordan 18, MJ would be prominently featured again, which made sense because it was the last time he would play professional basketball. The theme of the ads was “Love Is,” and the commercials flashed back to highlight all of Jordan’s accomplishments in 30 seconds. It captured Jordan’s pure passion for the game of basketball, and his desire to play every game as if it was his last. With MJ finally officially retired, how would the Brand move forward and stay relevant in the sneaker world? 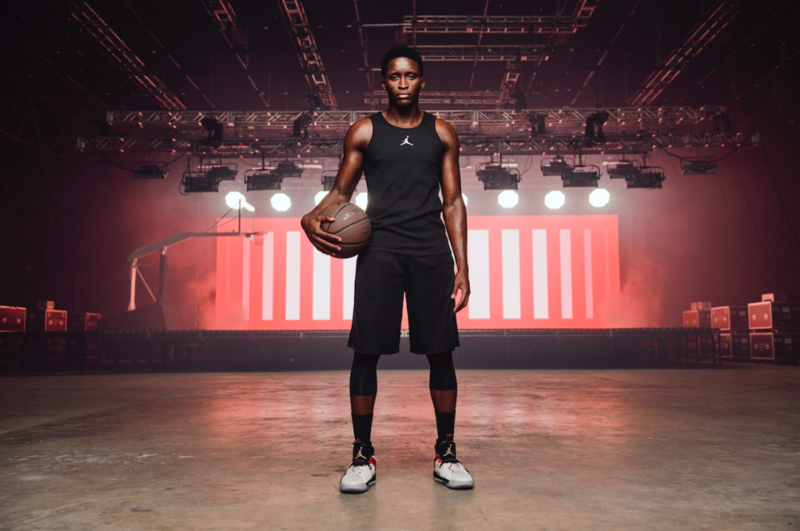 The Air Jordan 21 campaign proved that JB could still inspire even with Jordan out of the League for good. With dramatic piano music playing in the background, kids attempt to try out every move that made Jordan the GOAT, with Jordan looking on proudly at the end of the cut. The Air Jordan 23 was obviously special since it was MJ’s number. The commercial was special as well, with Jordan reflecting on how maybe it was his fault that he ruined the game by being so good. At the end, the camera cuts to Jordan addressing a gym full of teenagers and telling them not to make excuses. In 2009, Jordan Brand transitioned to naming Air Jordans by year instead of chronological number. The ads and commercials continued, but there was also a shift occurring in the way consumers received information. TV services like Hulu, Netflix and Amazon Prime were taking off, which meant viewers could skip commercials for the most part. Also, Facebook, Instagram and Twitter became the primary methods for people to discover and learn about sneakers. As these trends became mainstream, Nike and Jordan Brand shifted in the way they market their sneakers. Commercials are still important, but not as critical as they used to be. With that being the case, it’s clear that the old commercials leading up to the Air Jordan 23 were the most memorable and influential. The next 15 to 20 years will reveal which marketing strategies worked best for Jordan in this current social media-driven age.